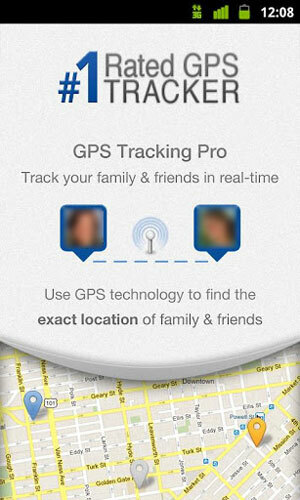 GPS Tracking Pro keeps your family and friends safe by tracking their real-time location using any Android phone. With the best in GPS technology, this app tracks the exact location of your family members and alerts you when they are in trouble, using the app's innovative check-in feature. The app allows family members to locate each other on our mobile map. Parents today are busier than ever so you can use our mobile app to track your child whether you're at home, work, or on the road. “My kids are always running all over the place, it can be hard to keep up. With GPS Tracking Pro, I get the peace of mind of knowing that my children are safe." If you have an Android phone or an iPhone, you can use it as a personal tracking device. Download our app, Install and create accounts on the phones that you want to track. Once this is done the family members (and their phones) will show up on our real-time map. GPS Tracker Pro is also great for tracking lost and stolen Android phones. Once installed on your Android phone, you’ll be able to track the phone’s location via the website. GPS Tracker Pro is the most accurate mobile tracking app available for your Android device, and can also provide navigation to your phone’s location.